After an exceptionally busy summer, A and I decided that it was about time to spend some quality time. We celebrated A’s Birthday with a short but sweet trip to New York and spent four amazing and sunny days in the Big Apple. New York is huge and four days aren’t nearly enough to see and do everything this amazing city has to offer. Good thing it wasn’t the first time we were visting, so we mixed new adventures with all time favourites. 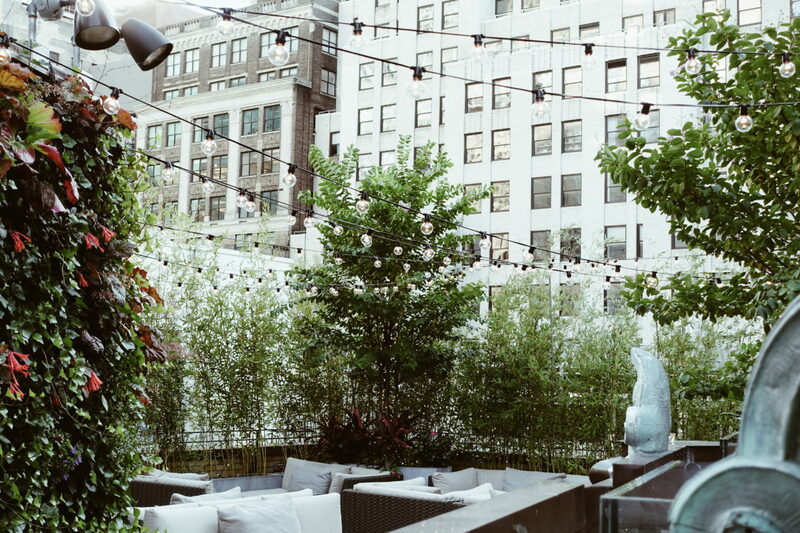 Continue reading to get to know more about how to spend a long weekend in New York City. This elevated park spawns 2,3km through the western part of the city. 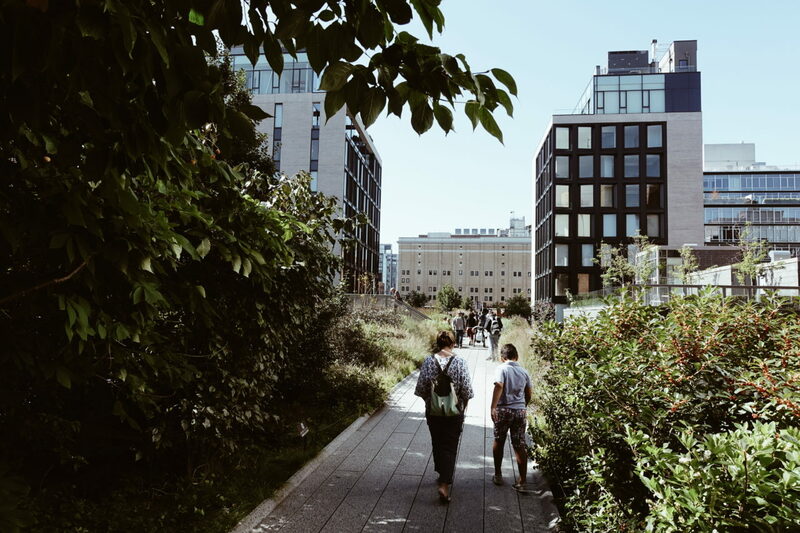 Originally a freight train line which was about to be demolished, an initiative called “Friends of the High Line” turned the tracks into a wonderful park / walkway. 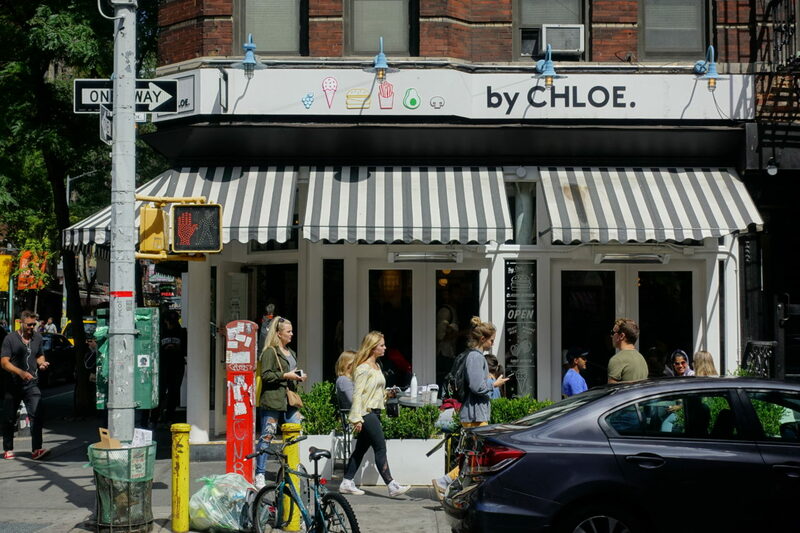 Appreciated by tourists and New Yorkers alike, you can enter and leave at several points, relax on benches or enjoy the lifted view of Chelsea. We started at W23rd St. / 1oth Ave which was about halfway. One of the coolest urban projects I’ve seen so far is The High Line in New York City, made from an old freight train line. At the southern end you will find the Whitney Museum but also have easy access to the Chelsea Market. These massive industrial hall(s) inhabit several good food outlets as well as plenty of opportunities to purchase great food, from meat and fish to fresh vegetables and international specialities. It’s very popular among tourists and I found it a bit too crowded to be honest. Another option which was much more relaxed was the “Gansevoort Market” which is just around the corner. While you cannot shop for groceries there you will find many food outlets and enjoy your dish in a more laid back atmosphere. 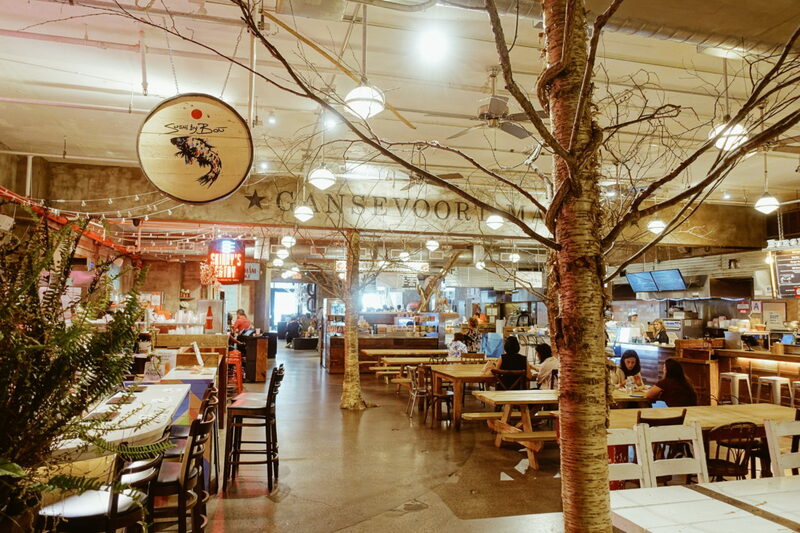 The Gansevoort Market in Chelsea is a great alternative and offers nice food outlets without the tourist buzz. New York has a very advanced rooftop culture. Whereever possible, the scarce roof space is used for nice terraces, bars or restaurants. 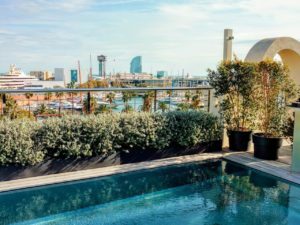 While most of them benefit from good weather to be fully enjoyed, there are possibilities to do so even in the colder months. Near Times Square, I can recommend the green “St. Cloud” rooftop of the Knickerbocker Hotel. 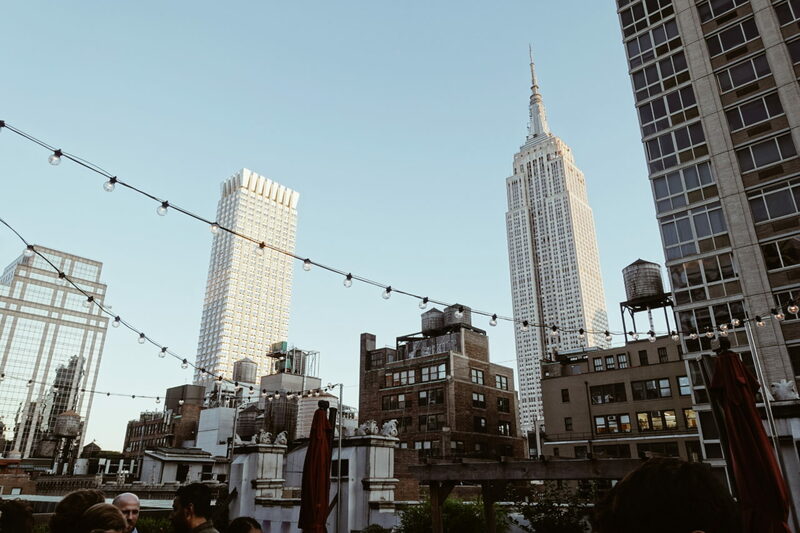 Meet locals and sip one of the great drinks while enjoying views over Times Square. 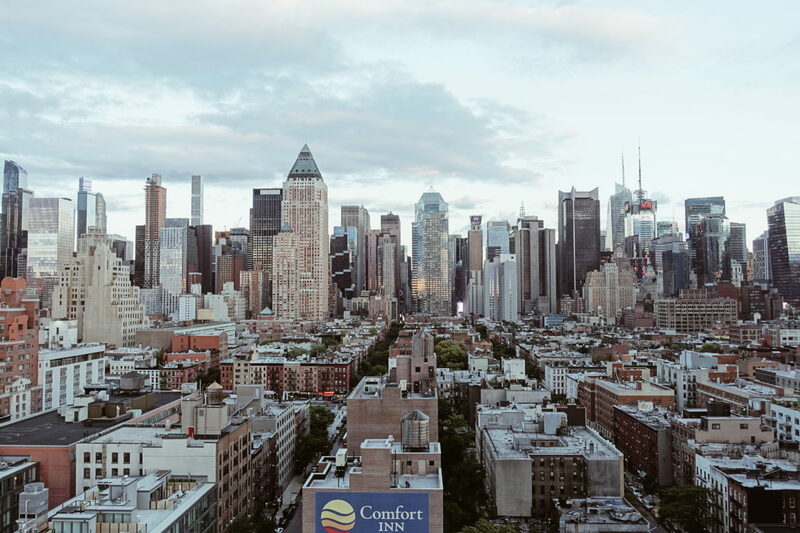 “The Press Lounge” in Hells Kitchen boasts most impressive views of the NYC skyline and can also be visited in colder months thanks to a conservatory. Refinery Rooftop was rather packed when we arrived (you have to get a stamp outside of the Refinery hotel to go up) and the drinks were so-so but the prime-view of the Empire State Building is hard to match. Not surprisingly, NYC is home to many of the world’s best restaurant and innovative food concepts emerge from the city that never sleeps. While there is so much to discover we just had one weekend and thus limited time in the city. There is always the latest craze but we opted for some established sure shots. 5 Napkin Burger brings a modern vibe to the American food classic. The atmosphere is buzzing but cozy, the burger (we had one with truffle and sweet potatoe fries) was one of the best I’ve ever tasted. Top up your order with one of the very good cocktails and you’re good to go for the night out. They have four outlets in NYC. Our choice for Pizza was a difficult one as there are countless good places that people rave about. I came to notice many of them are located in Brooklyn, Williamsburg and the like (such as Roberta’s) but we wanted to head to Greenwich Village and eventually found “Ribalta“. It has a modern and trendy vibe and a serious selection of Pizza that is made to order in their authentic oven. The pizza is impeccable and so big that we did not need starters. Ribalta is always really packed and we were lucky to have a reservation. There are several outlets of “Dos Caminos” spread throughout differnet neighbourhoods of NYC which we consulted at noon for a quick bite such as the Nachos with Guacamole and a Quesadilla alongside a Corona. The Dos Caminos in SoHo is a popular hotspot I can recommend. 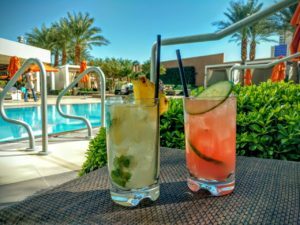 With it’s laidback vibe, some serious day drinking options under blue skies and a lovely patio seating. 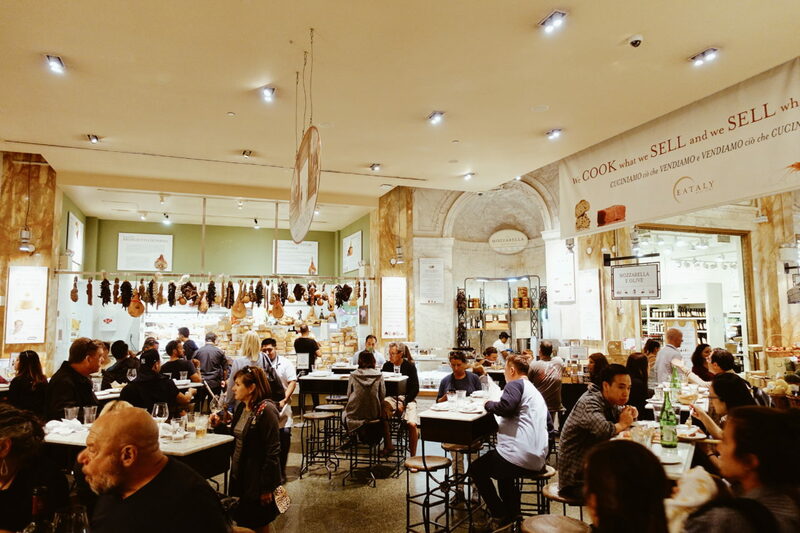 Another recommendation is “Eataly“, located near the iconic Flatiron building on 200 5th Ave. Everyone is raving about the rooftop which I honestly didn’t find too special – the buzzing grocery floor is where you feel the vibe. Order smaller or larger dishes such as Crudo or fantastic seafood on one of the many (bar) stations and enjoy them with a glass of wine or Aperol while giving your feet a rest from exploring the city. No weekend in New York is complete without at least a little bit of shopping. In our case, it turned out to be a real shopping extravaganza, something which rarely happens when we visit a city usually. 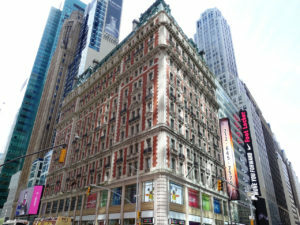 As we visited Manhattan during Fashion Week, most labels and stores were showcasing lots of new collections. Every New York label has at least one fabulous flagship store in Manhattan and I visited some of my favourites such as Tory Burch and Ralph Lauren on Madison Avenue or Tommy Hilfiger on Fifth Avenue. But not just the big shots have great store concepts in the city, there are tons of small labels and lovely boutiques to discover. 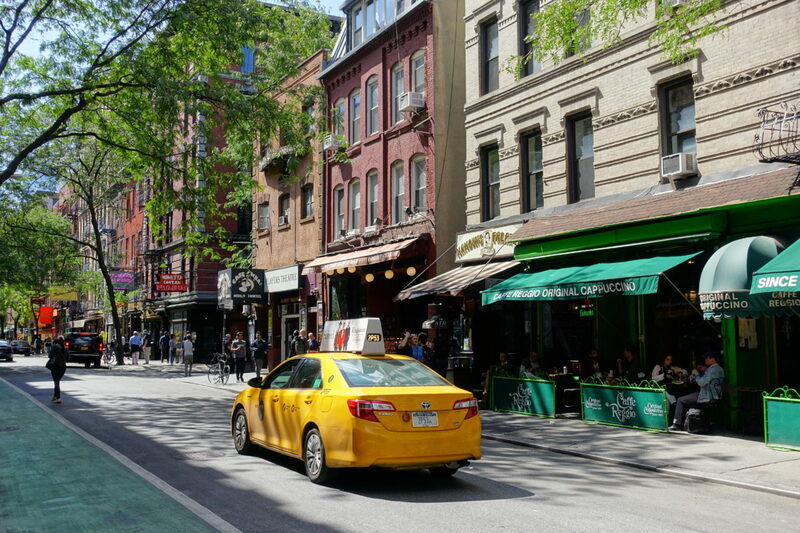 I especially love Greenwich Village, Soho and the Meatpacking District to shop in a more laidback environment. If you love beauty products and like to try new products as much as I do, make sure to visit the first Birchbox Concept Store in Soho and design your personalized beauty box. 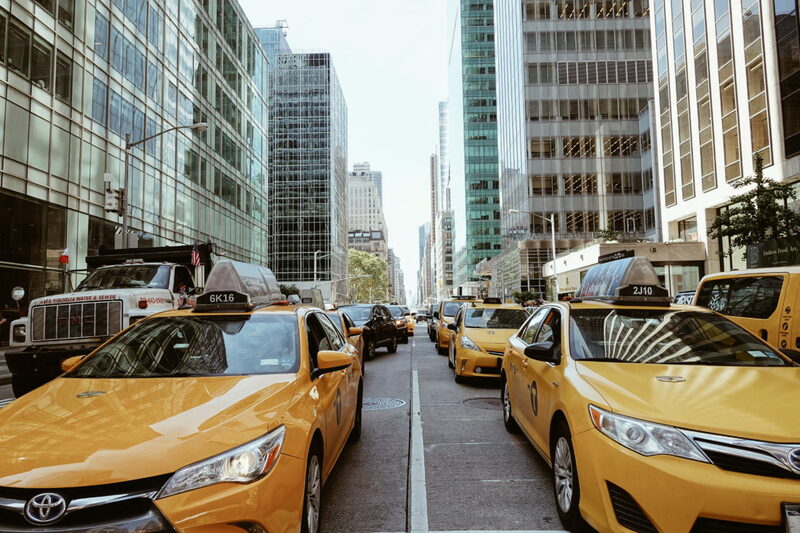 While I focus more on the experiences that you can’t read about in every Lonely Planet and just like to discover the hidden gems as I go, for NYC there are some of the must-do’s you can’t really avoid when being in the city. While it might seem totally obvious, A and I really loved spending golden hour with a coffee at Central Park. Escaping the hustle of the high street we entered from Uptown and grabbed a coffee at Le Pain Quotidien that we enjoyed walking around the lake over to Loeb’s boathouse. Another milestone that I would not recommend missing out on is the WTC 9/11 memorial. 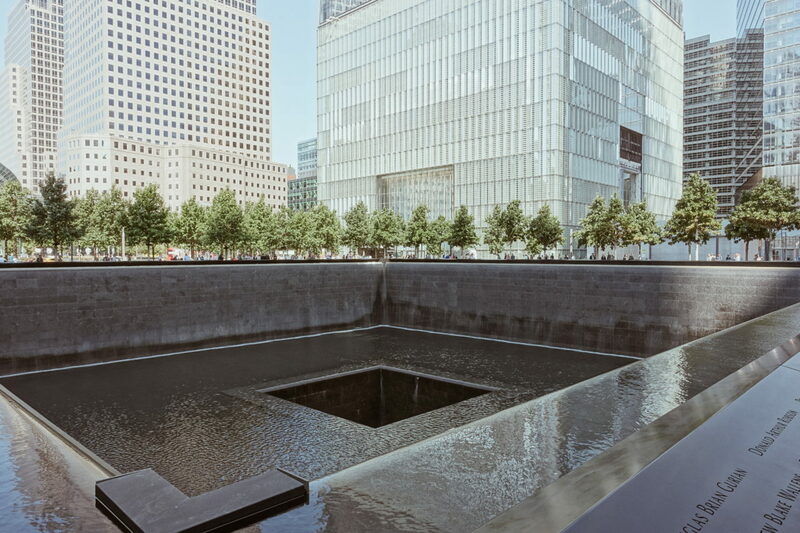 I found that the two infinity fountains, trees and the victims’ names constitute a very moving atmosphere and are a grounding contrast to the fast moving pace of Manhattan. The 9/11 memorial brings up all the memories while spreading hope and light – a must see in Downtown if you are interested in recent history. 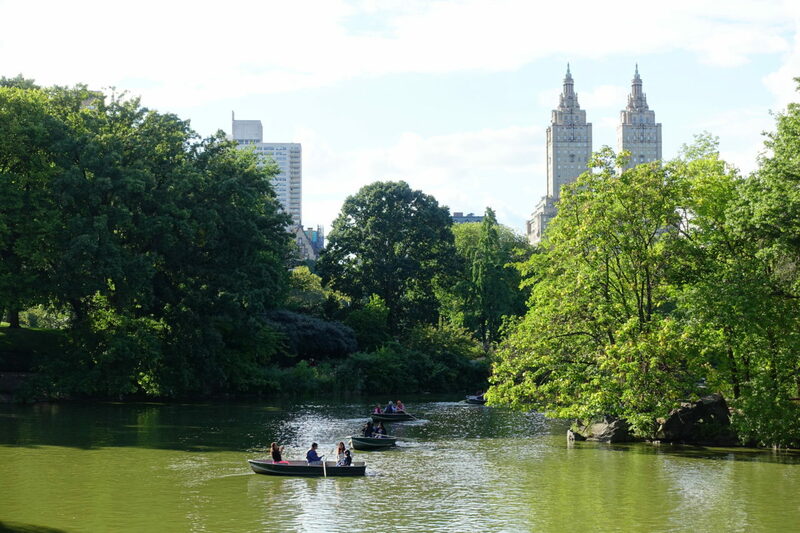 Central Park is an all time classic when visiting New York. Time to relax after the shopping haul. What are your favourite things to do in New York? Share your tips in the comments below, I’d love to hear. Want to know more about our trip? Discover my review of our flight experience here.